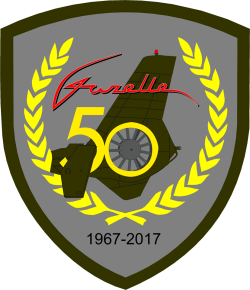 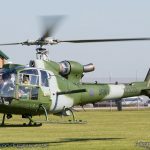 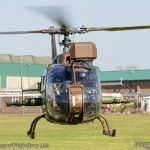 2017 marks the fiftieth anniversary of the Aérospatiale SA341 Gazelle which has served both the military and civilian aviation world throughout the world, In the UK, the type served with all three armed services providing many military personnel their first taste of rotary flying as well as serving on the frontline with the Army Air Corps where a small number remain in service. 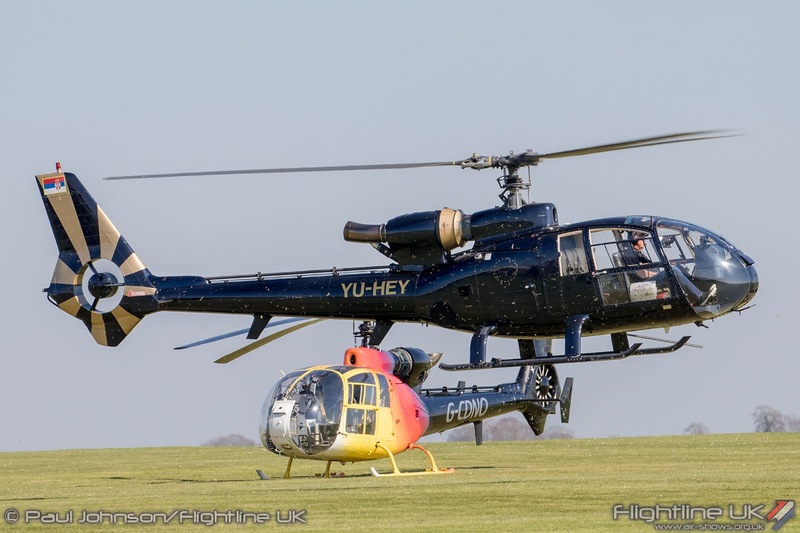 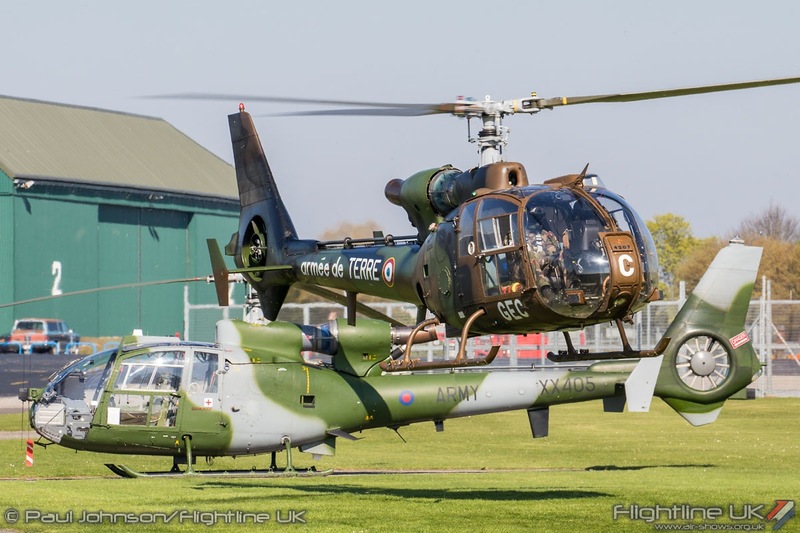 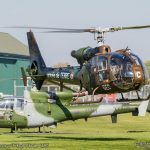 The 8th April 2017 saw a commemorative fly-in held at the Army Aviation Centre, Middle Wallop jointly organised by threshold.aero with cooperation of the Museum of Army Flying and the Army Air Corps. 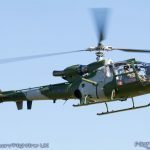 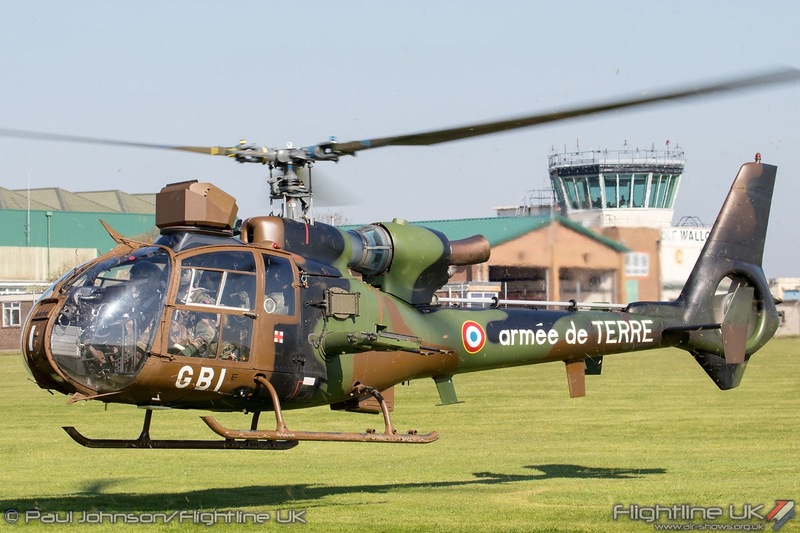 The Gazelle design originated from a French military requirement to replace the venerable Sud Aviation SA316 Alouette III. 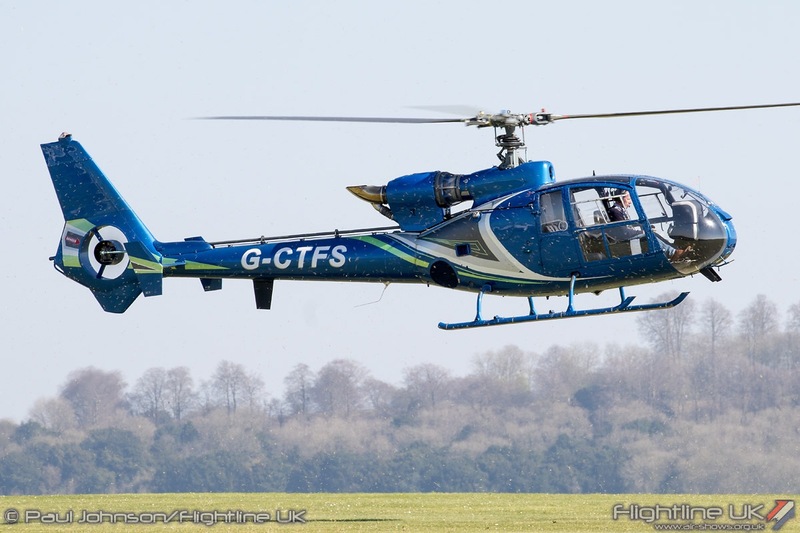 1967 saw the prototype of the new helicopter fly, the SA340, but this had a conventional tailrotor. 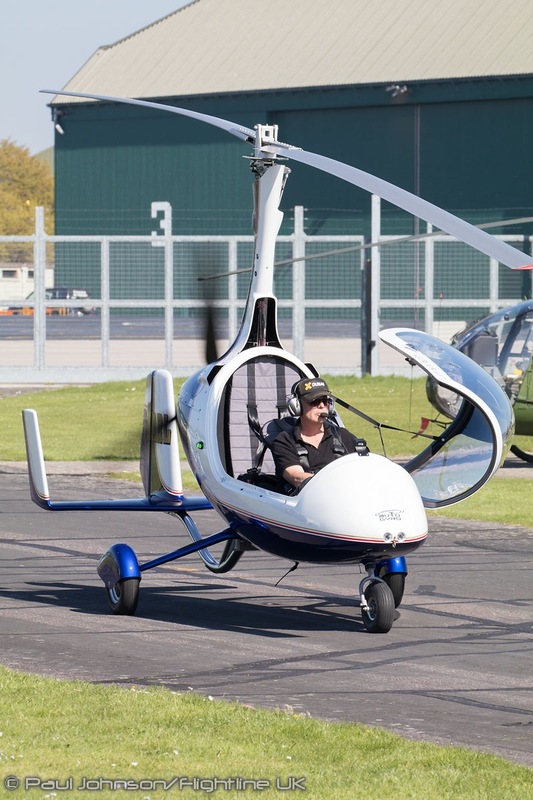 A year later, the design was modified with the characteristic fenestron tailrotor and became the SA341. 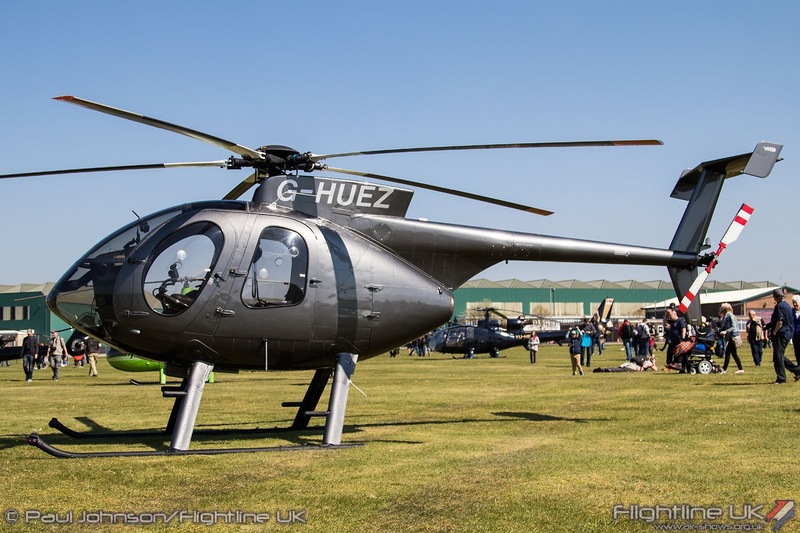 Powered by the Turbomeca Astazou turbine, it was an instantly recognisable type thanks to its rounded airstream looks and characteristic whine from its engine. 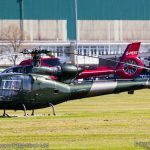 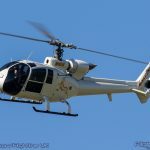 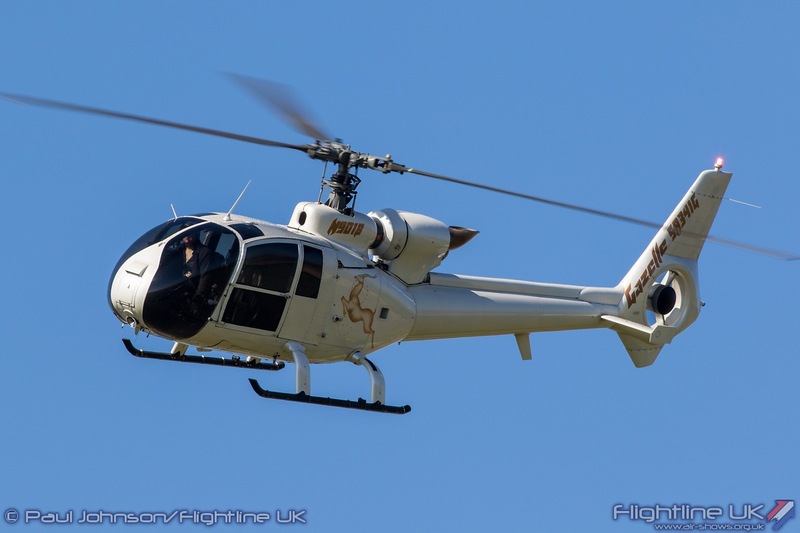 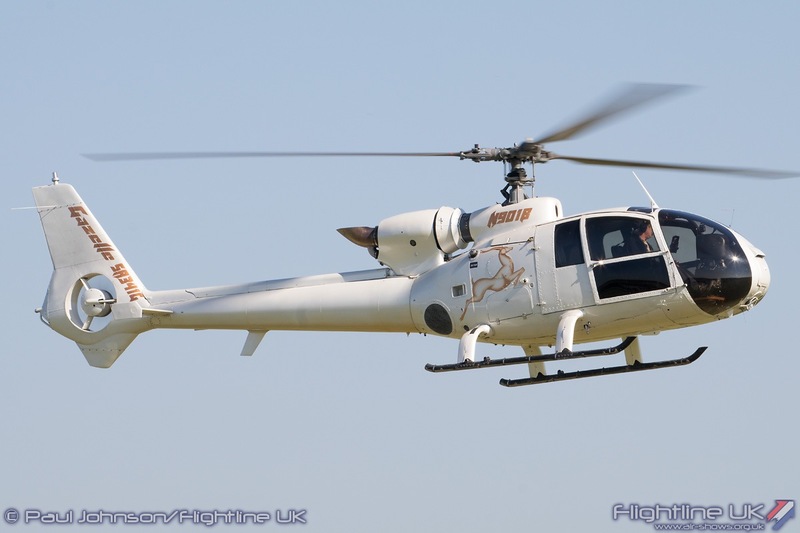 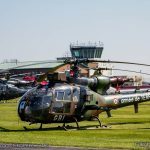 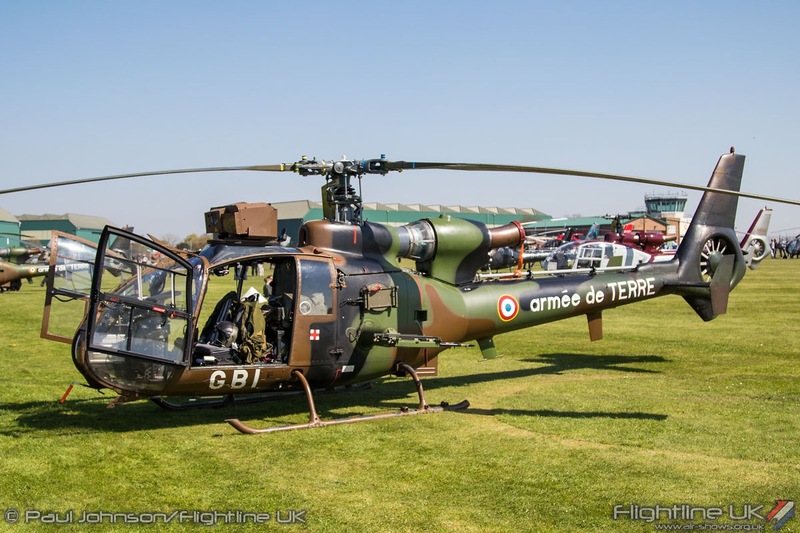 The UK took an interest in the SA341 for its various military requirements and it became part of an Anglo-French production agreement involving the SA330 Puma and the Westland Lynx. 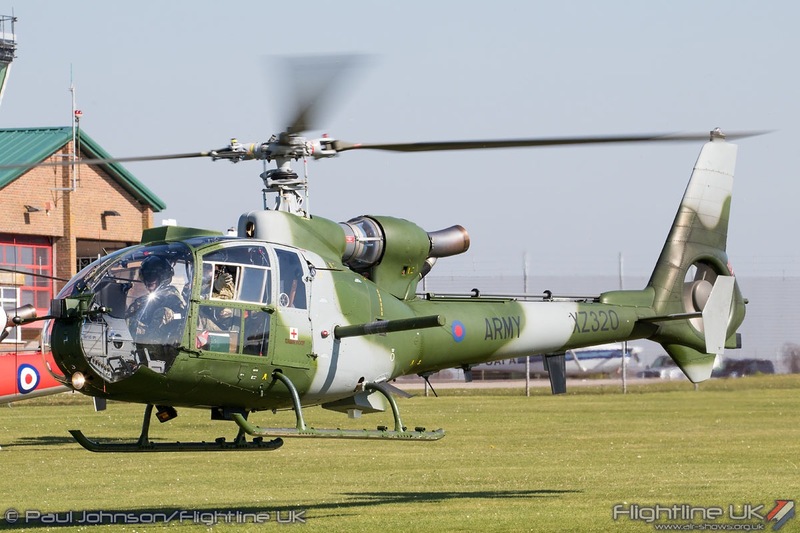 This saw Westlands produce and develop the Gazelle for UK Military requirements as the WA.341 Gazelle. 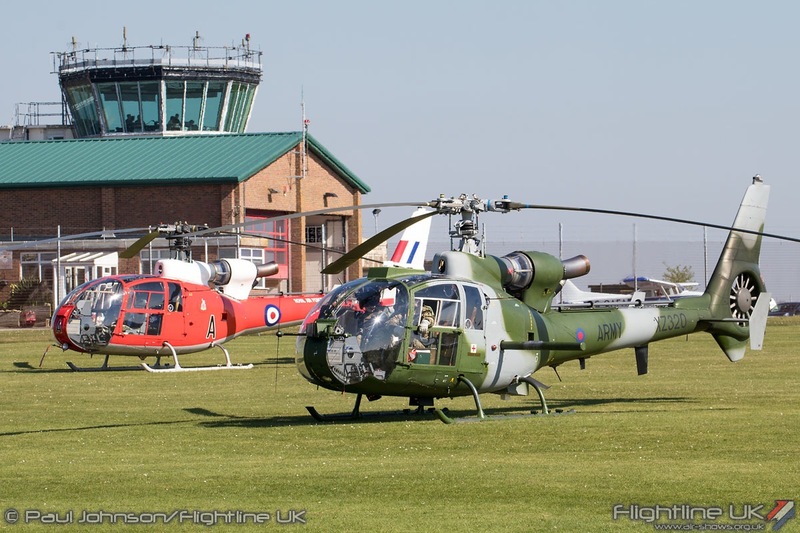 In UK service, the Gazelle served with all three services. 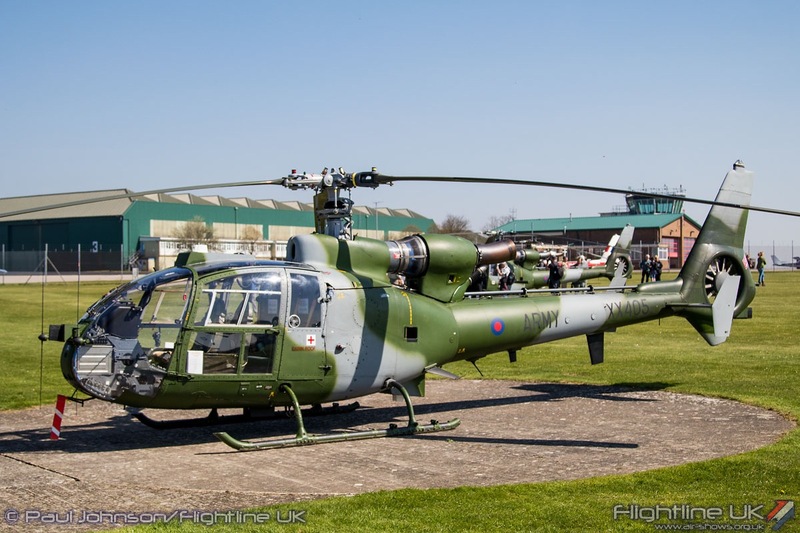 The Army Air Corps received the Westland WA.341B Gazelle AH1 which it used for pilot training, battlefield observation and surveillance roles. 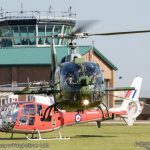 A small number of AH1s also served in the Royal Navy supporting the Royal Marines as part of the Commando Helicopter Force. 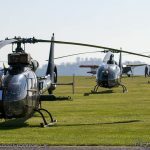 Both the Royal Navy and Royal Air Force took on Gazelles for rotary training with the WA.341C Gazelle HT2 for the Navy and the WA.341D Gazelle HT3 for the Royal Air Force. 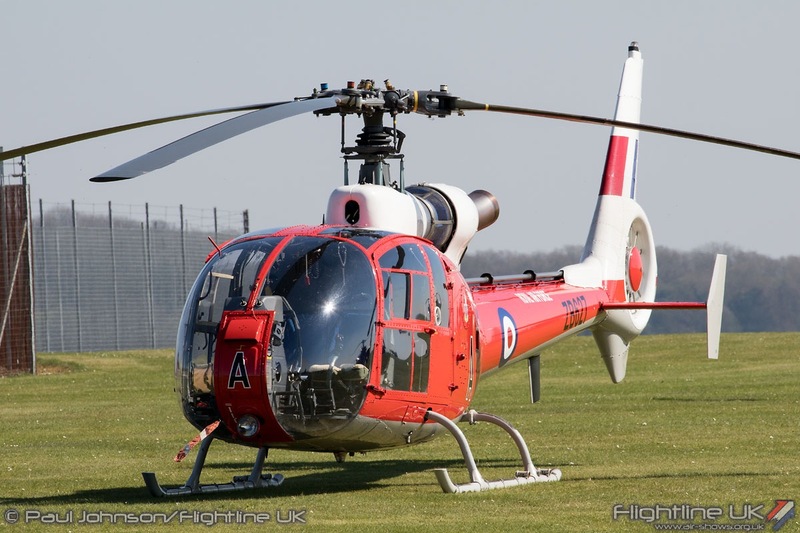 A single WA.341E Gazelle HCC4 was also operated by the RAF. 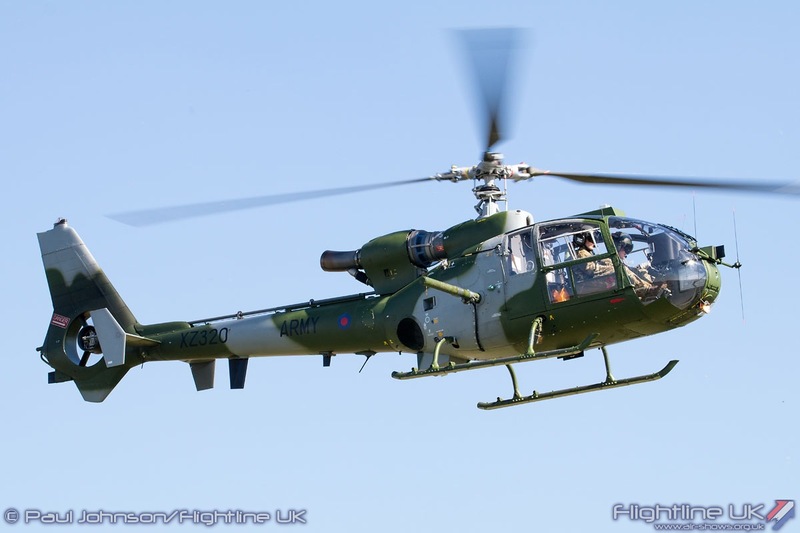 Army Air Corps Gazelles saw action in Northern Ireland, the Falklands War, the 1991 Gulf War, Kosovo and in support of operations in Afghanistan. 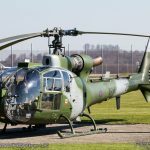 Despite being earmarked for retirement, the Gazelle has soldiered on in Army service and will not be fully retired until 2025. 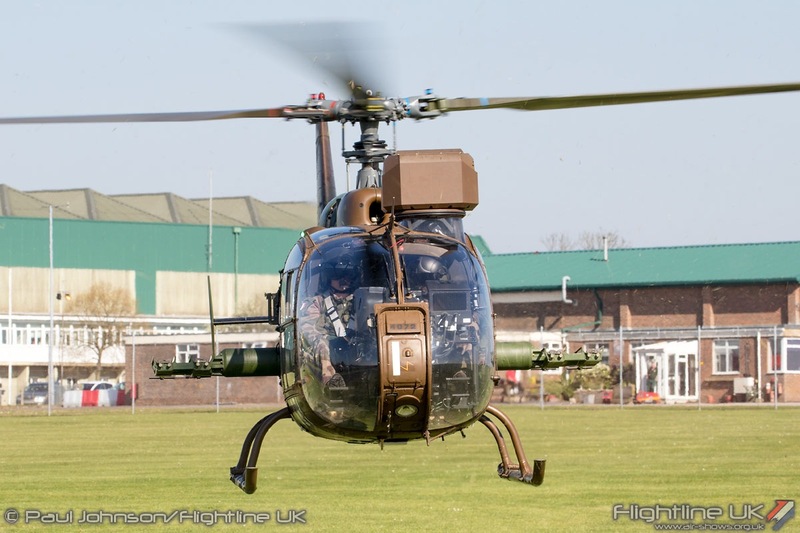 Today, the Army Air Corps operates the type in the UK and in Canada. 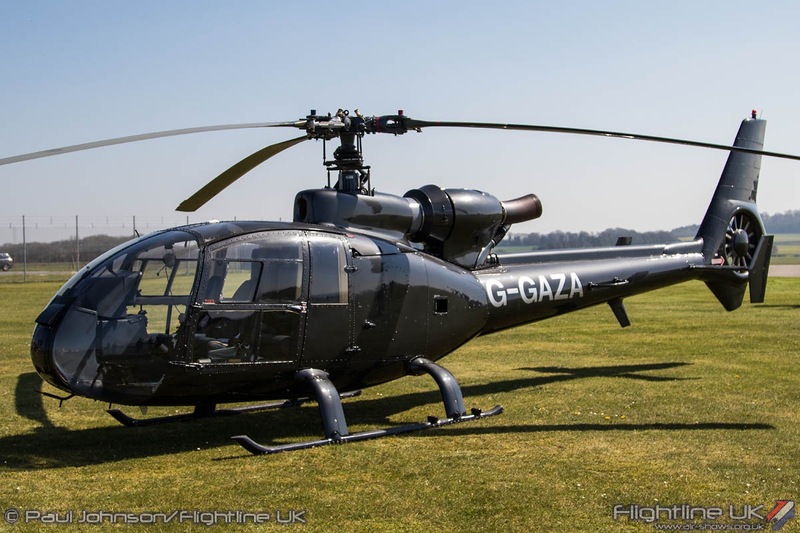 As well as the UK and French militaries, the Gazelle served around the world with Angola. 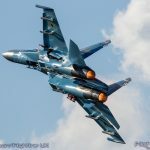 Burundi, Cameroon, China, Cyprus, Ecuador, Egypt, Gabon, Guinea, Iraq, Ireland, Kuwait, Lebanon, Morocco, Qatar, Rwanda, Syria and the former states of Yugoslavia. 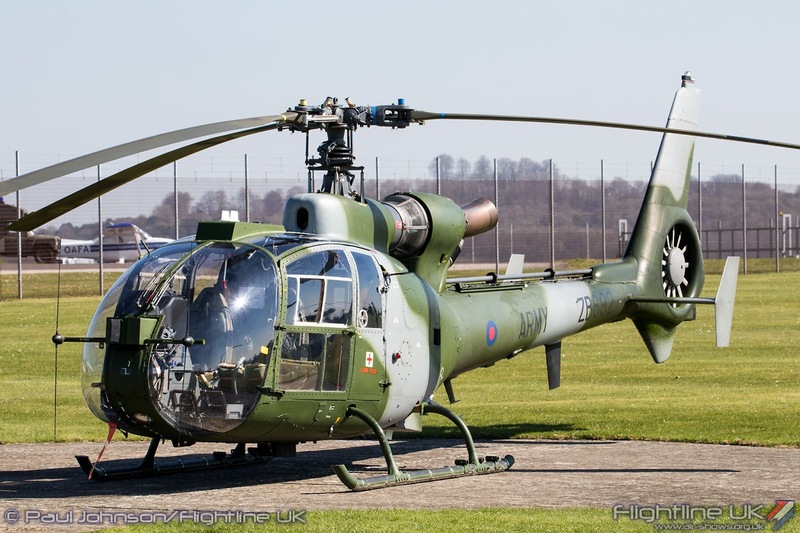 As well as a military machine, the SA341 Gazelle was a popular civilian helicopter as a fast, yet relatively affordable type to operate. 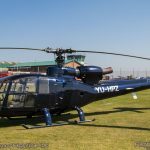 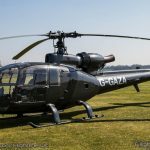 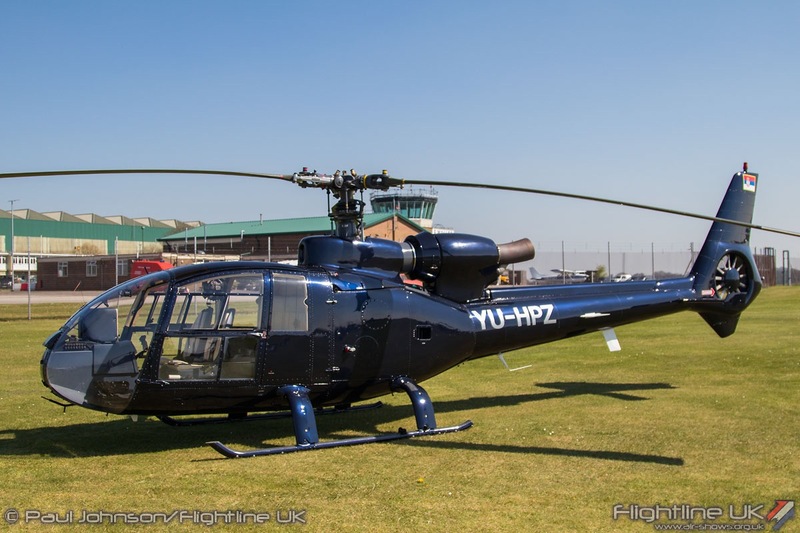 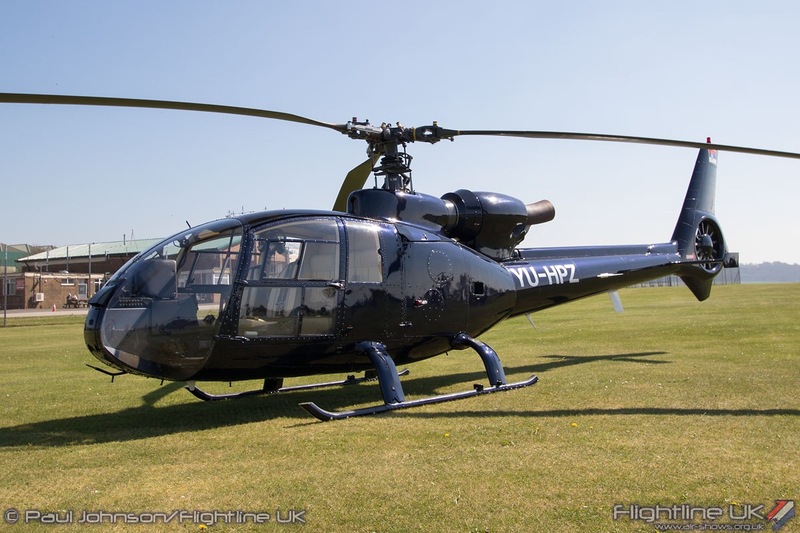 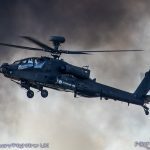 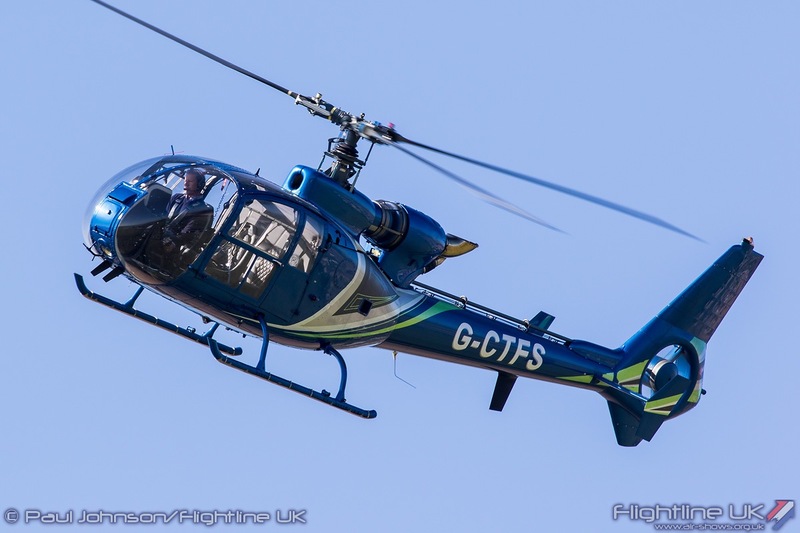 On occasion, the Gazelle has been a movie star too perhaps most notably in the 1983 Action-Thriller ‘Blue Thunder’ when Gazelles were heavily modified to take on the look of an armoured attack helicopter. 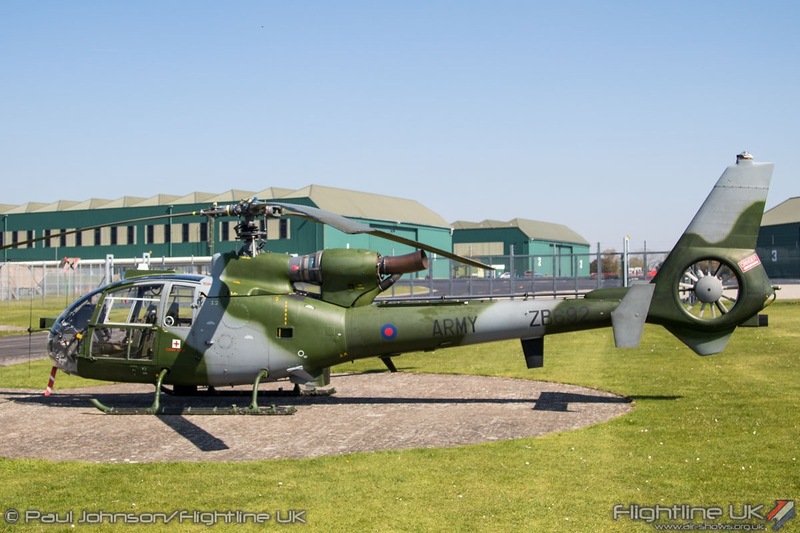 The Army Aviation Centre at Middle Wallop was the perfect setting to mark the Gazelle’s 50th Anniversary. 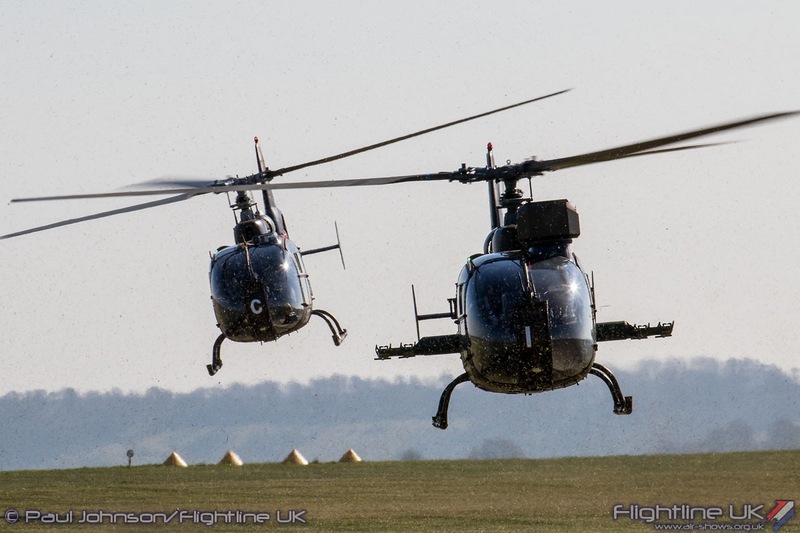 Gazelles have long been part of the landscape at Middle Wallop in their training role at the Hampshire airfield. 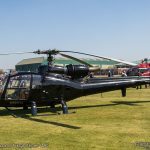 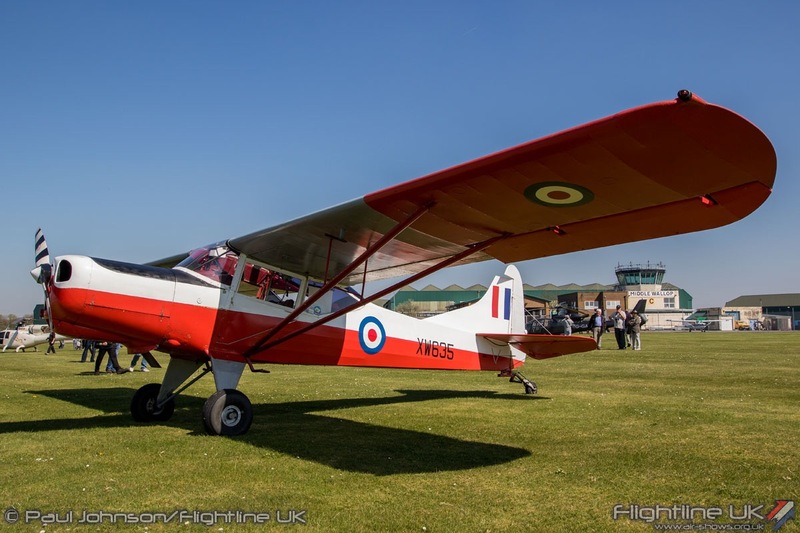 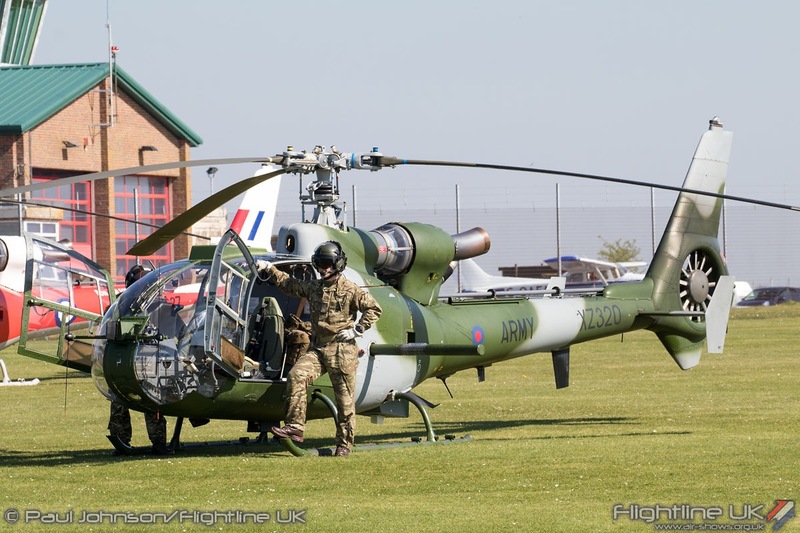 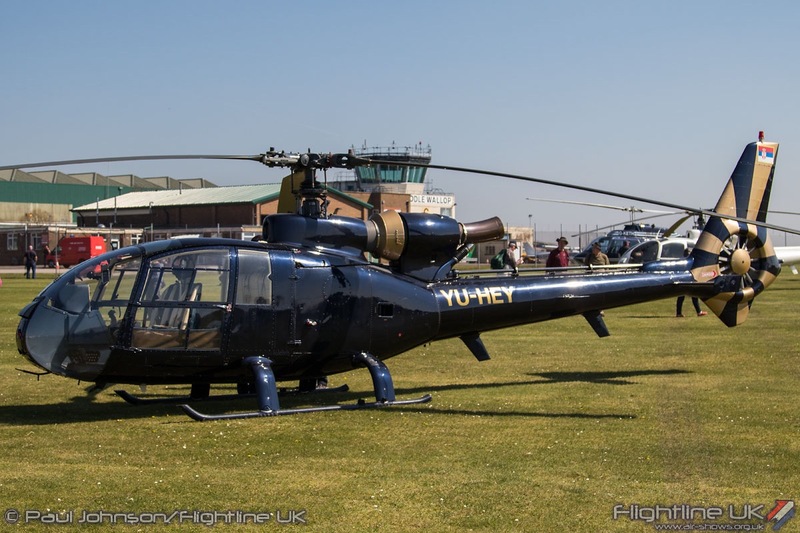 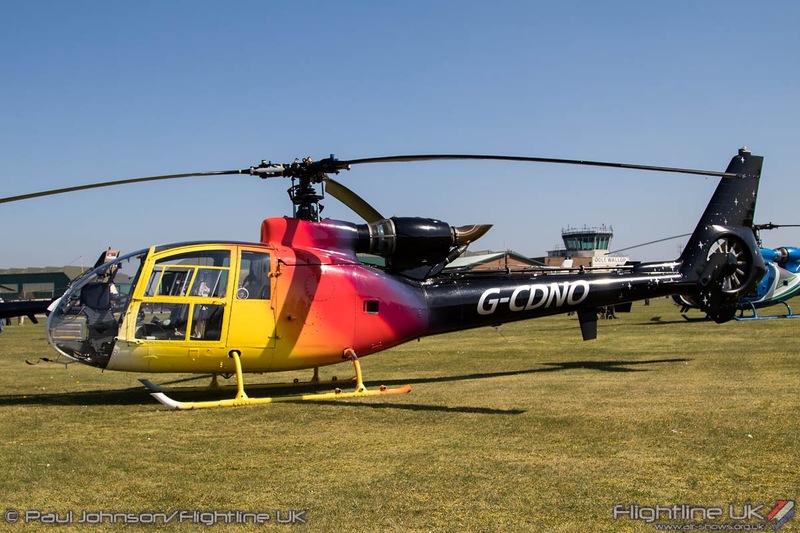 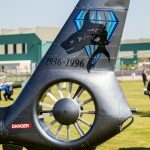 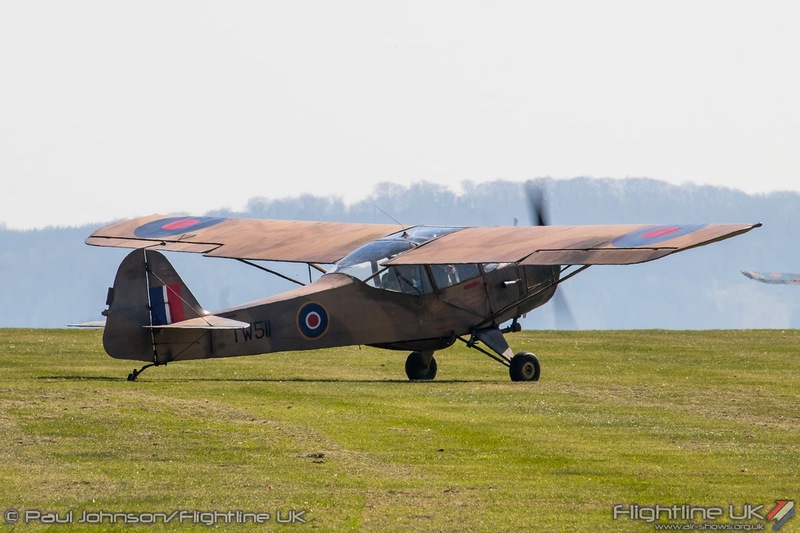 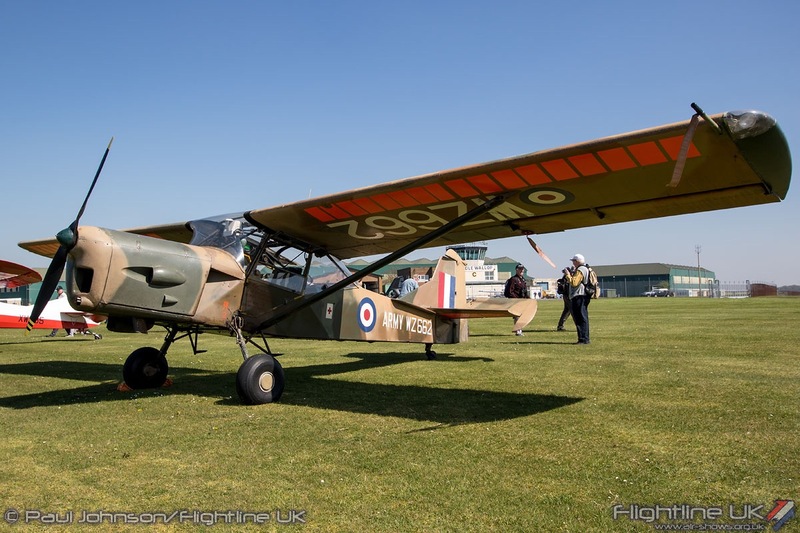 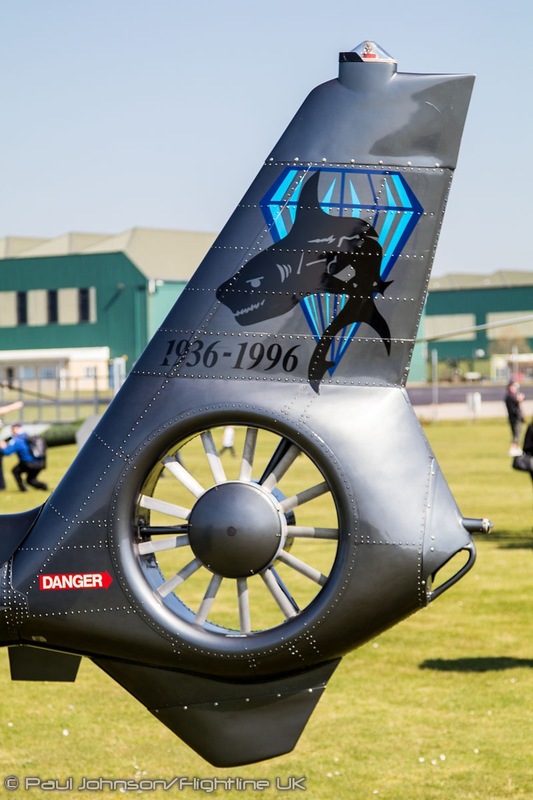 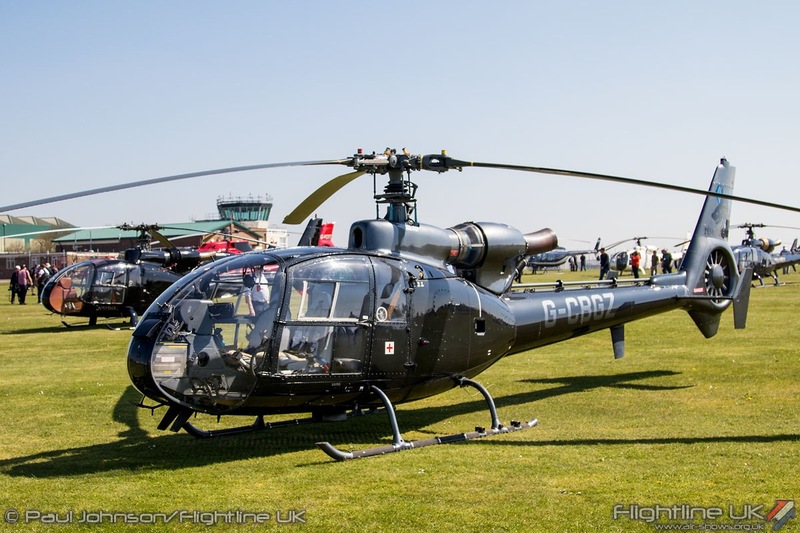 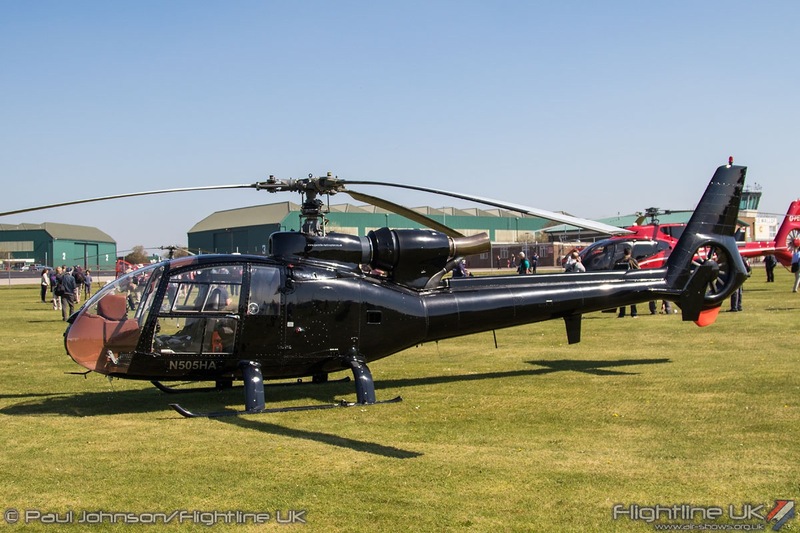 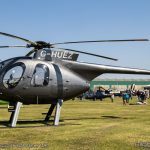 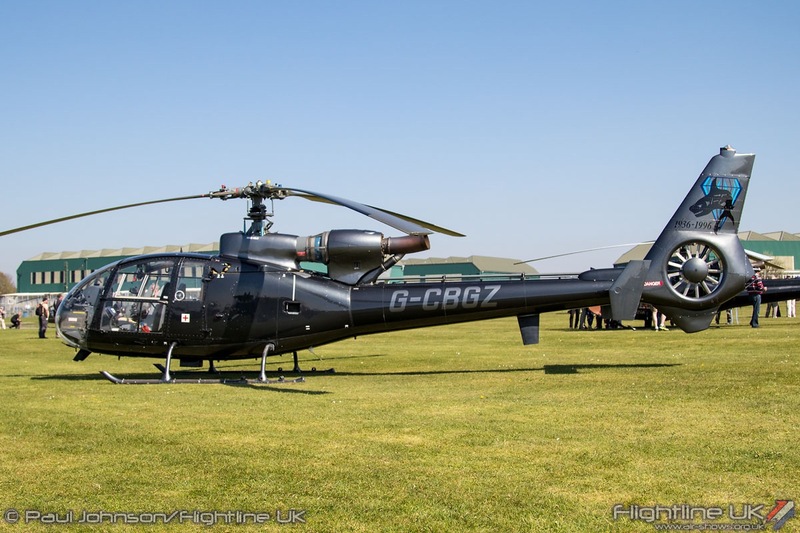 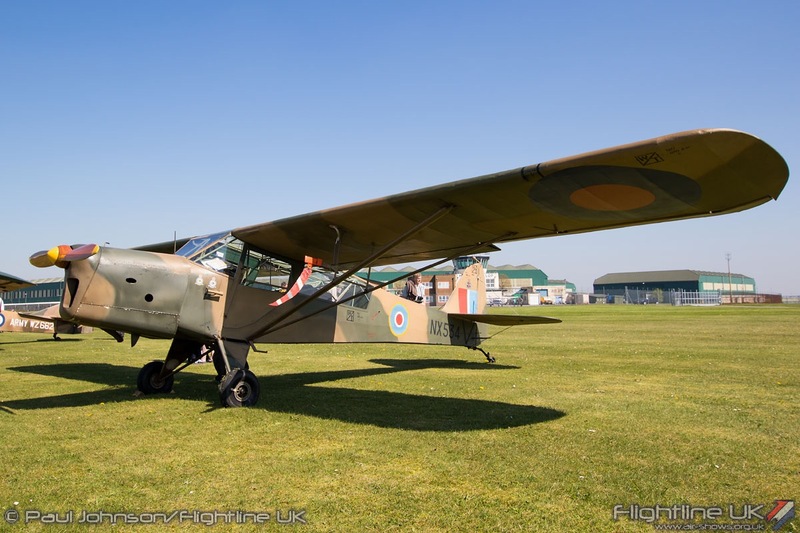 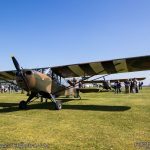 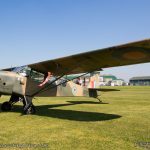 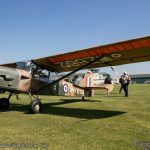 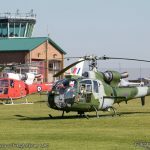 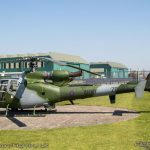 Jointly hosted by new aviation event company threshold.aero, the Museum of Army Flying and the Army Air Corps, the event aimed to bring together as many different Gazelles and associated aircraft as possible to celebrate the anniversary. 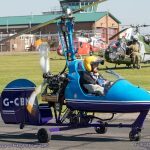 The weather gods could not have been kinder either with gin clear blue skies covering much of the UK and a warm southerly breeze making it feel more like midsummer than early Spring! 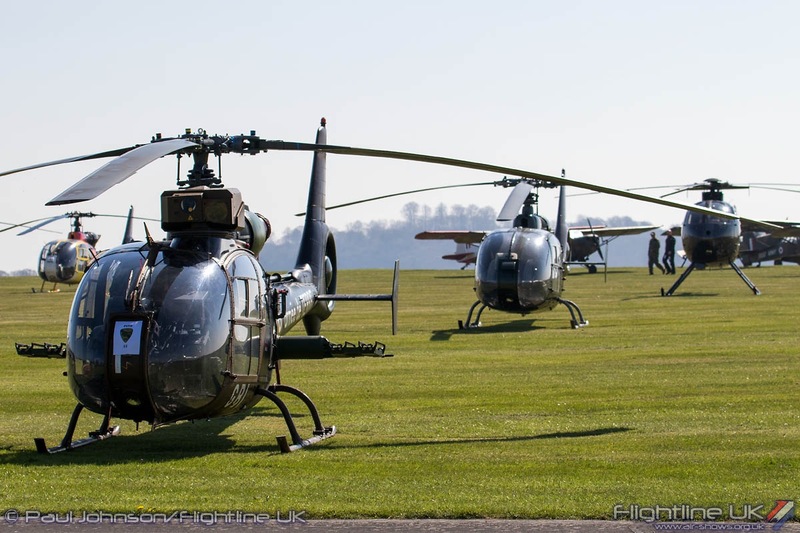 The fly-in was supported by a small showground area with in the grounds of the Museum of Army Flying. 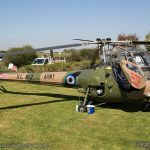 Amongst the various stall were the Army Historic Aircraft Flight Trust with their SARO Skeeter AOP12 and the Gazelle Squadron/NavyWings with their Westland Gazelle HT2. 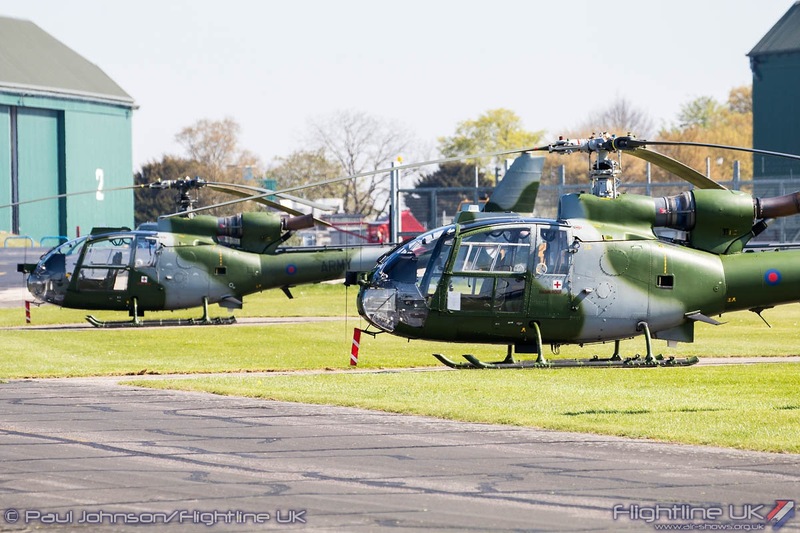 During the morning, the large grass airfield at Middle Wallop was kept busy with arriving aircraft. 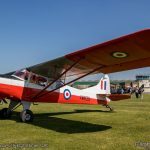 The middle part of the day saw the airfield open up to spectators allowing for close access to all the participating aircraft. 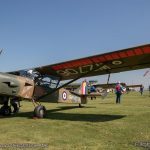 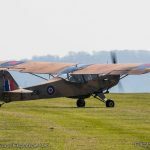 As well as Gazelles these included an impressive collection of Taylorcraft Austers representing the fixed wing predecessors that carried out the air observation role for the Army. 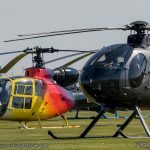 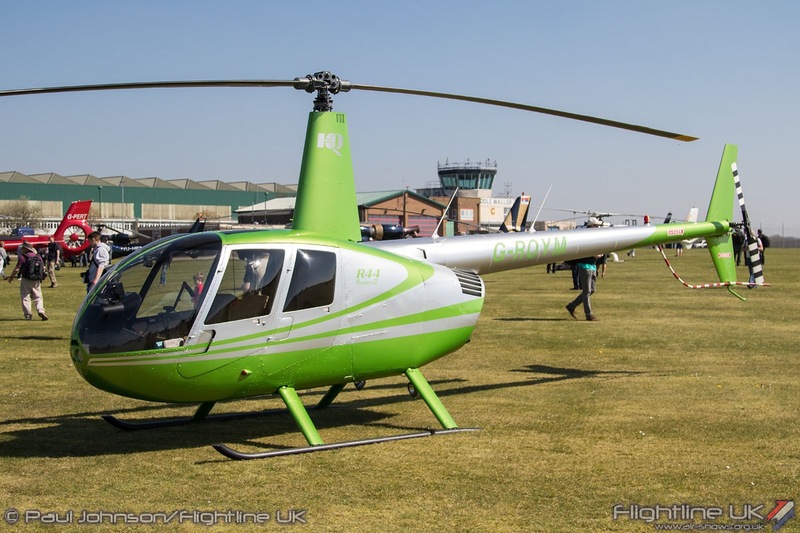 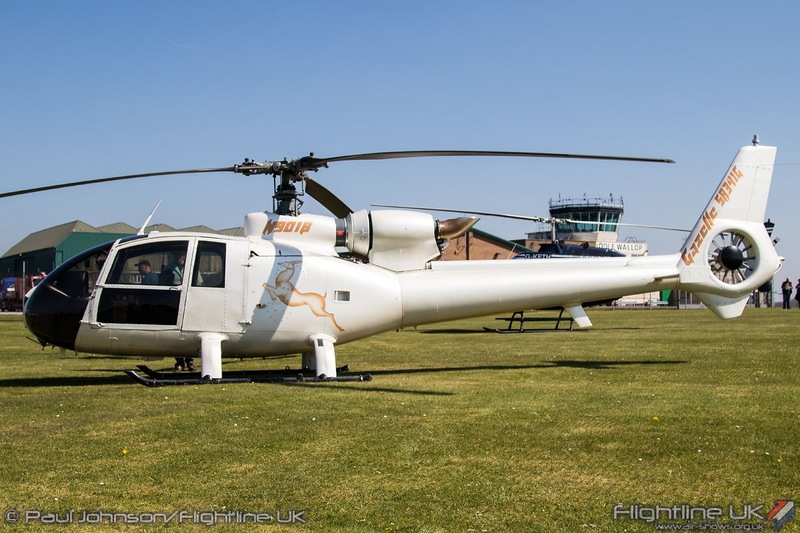 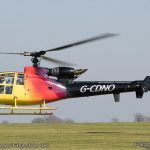 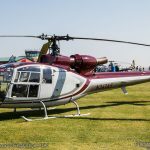 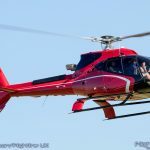 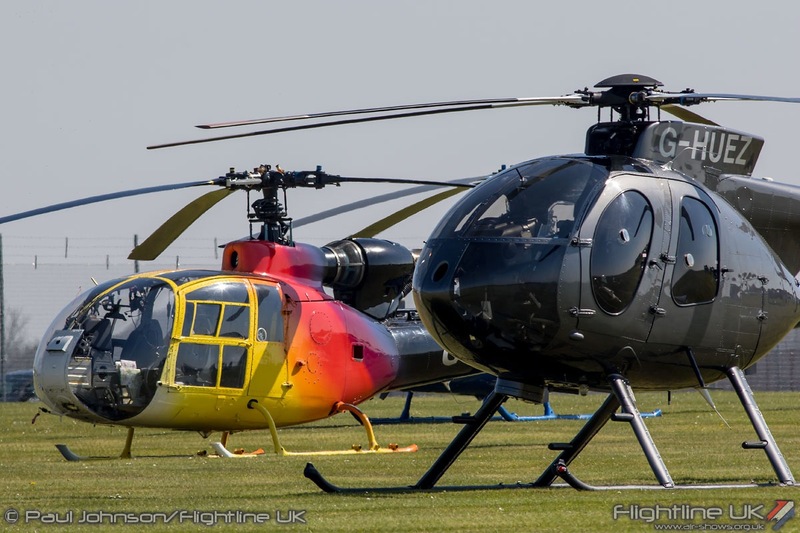 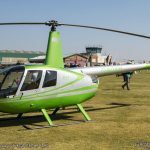 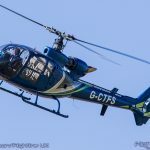 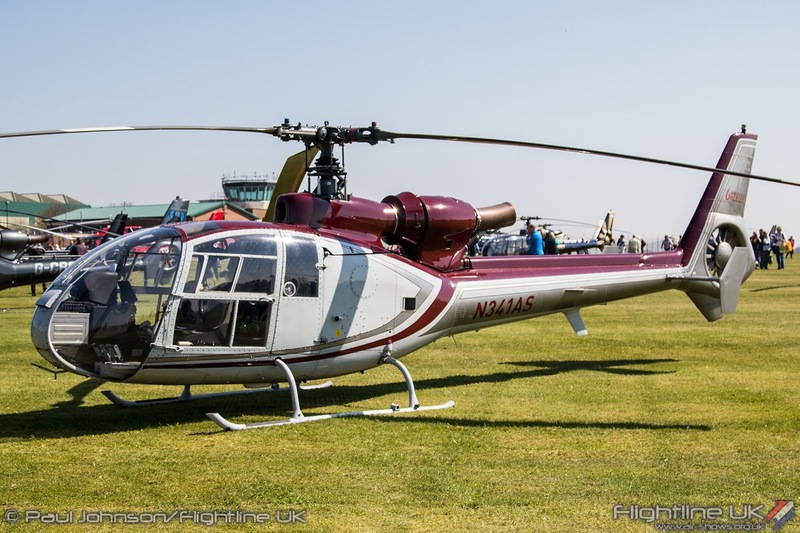 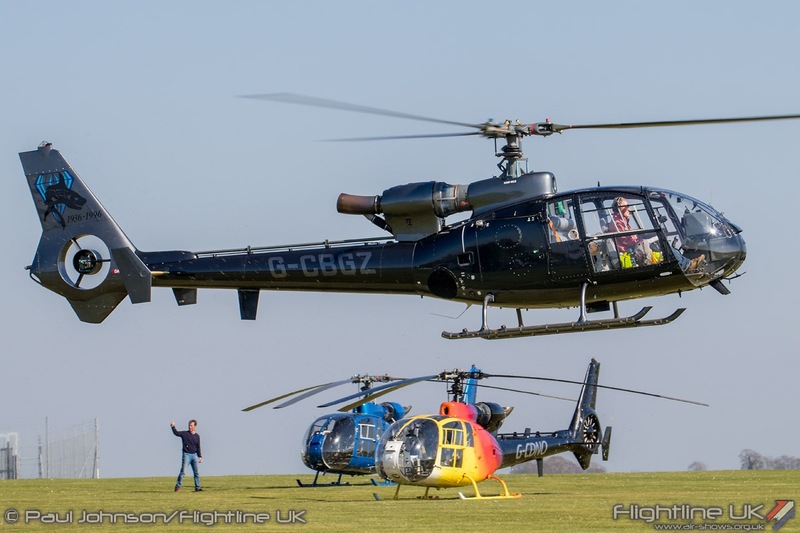 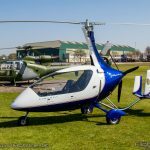 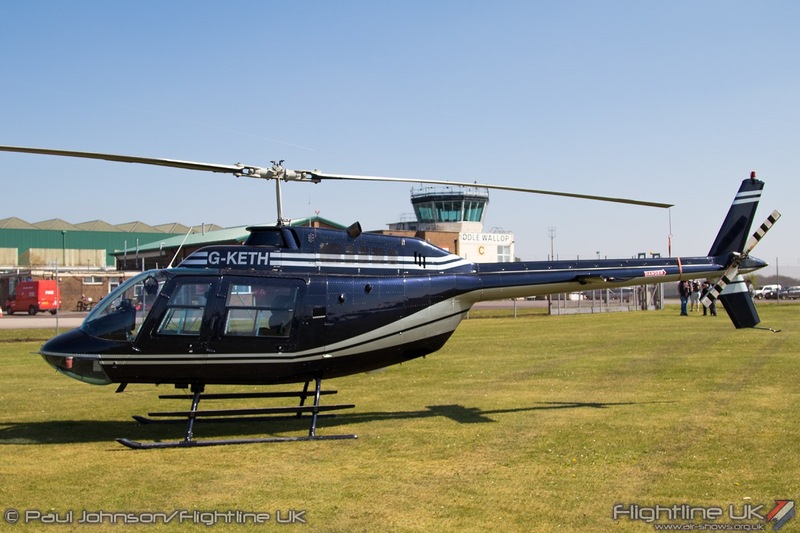 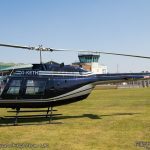 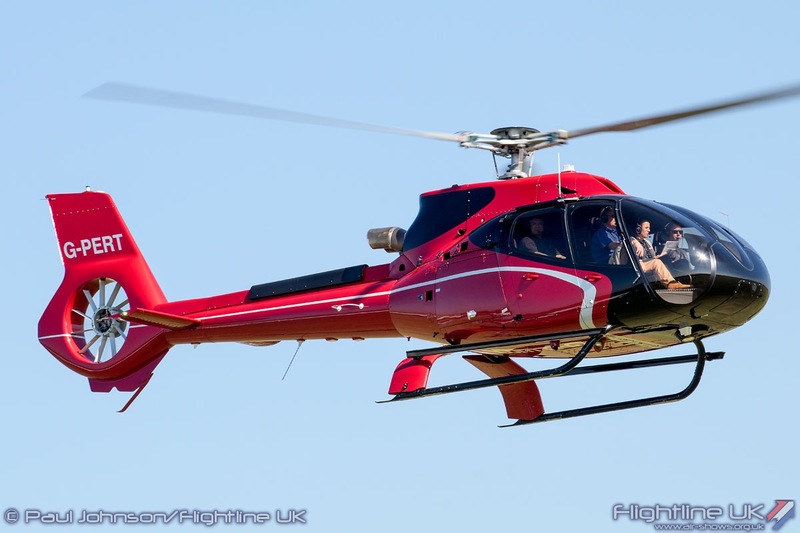 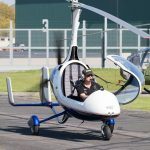 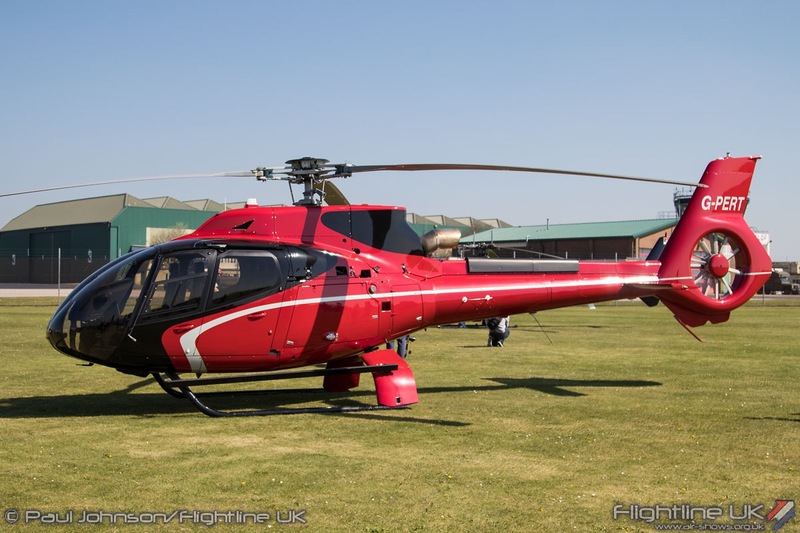 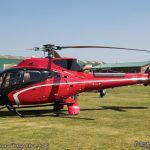 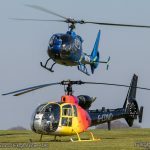 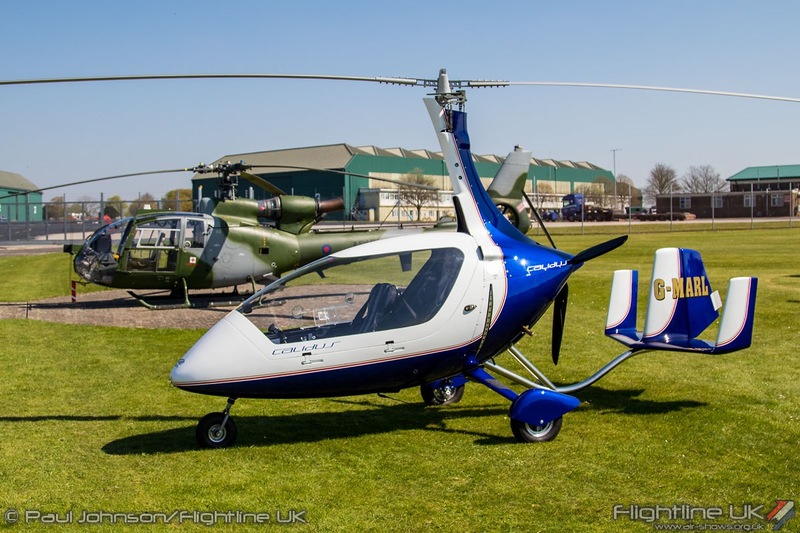 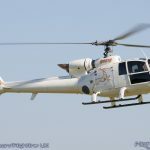 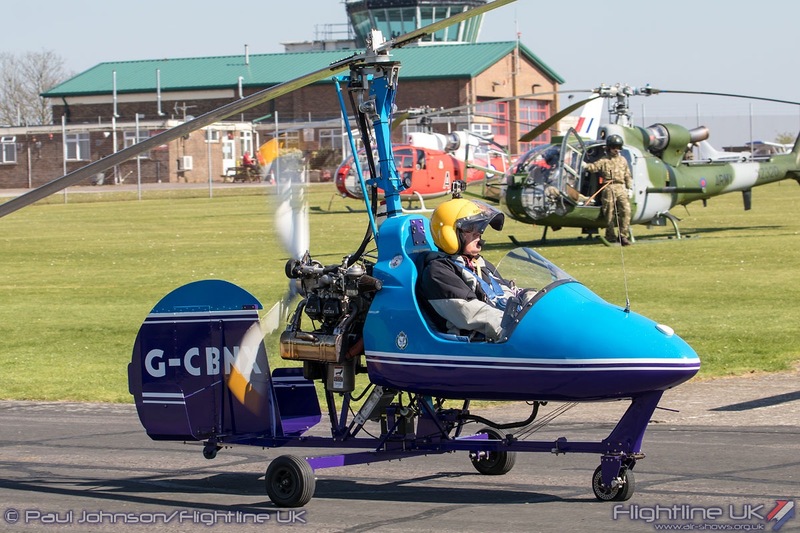 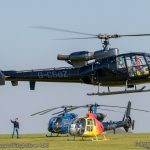 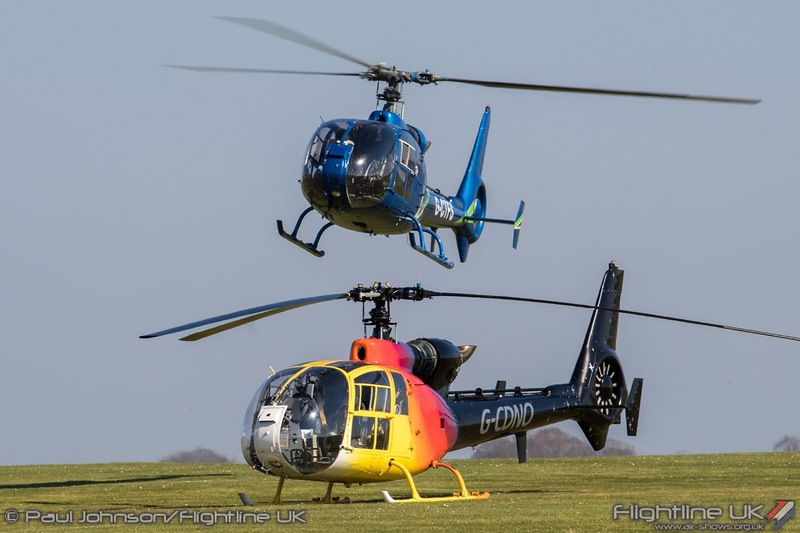 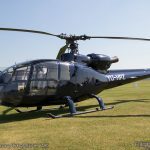 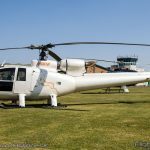 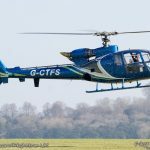 Other rotary aircraft were also invited and these included Bensen B-8MR and Rotorsport Calidus autogyros, Hughes 369E, Agusta/Bell AB206 Jetranger, Robinson R44 Raven and a Eurocopter EC130. 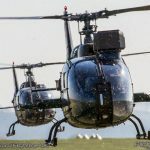 In the end, 18 different Gazelles participated in the event. 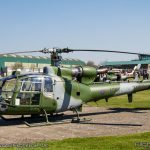 There was a smorgasbord of colour from the civilian aircraft which represented both Aérospatiale and Westland built machines. 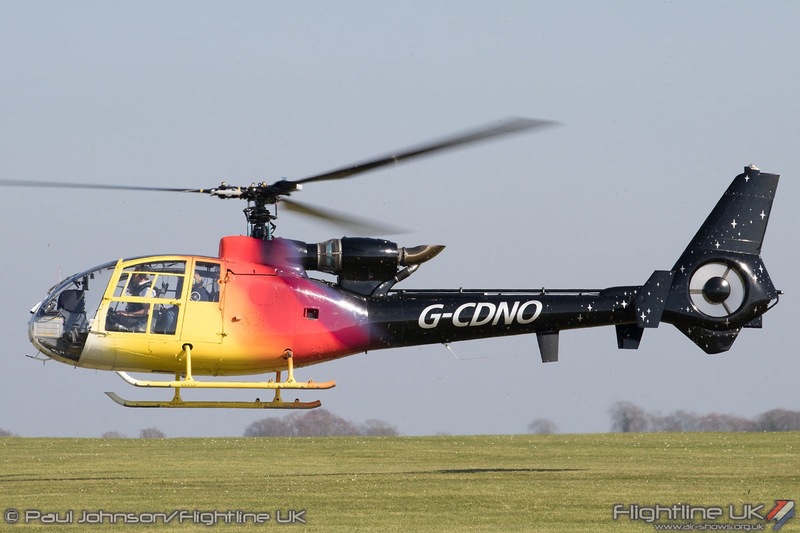 One Gazelle even wore a homage to the Miss Demeamour colour scheme. 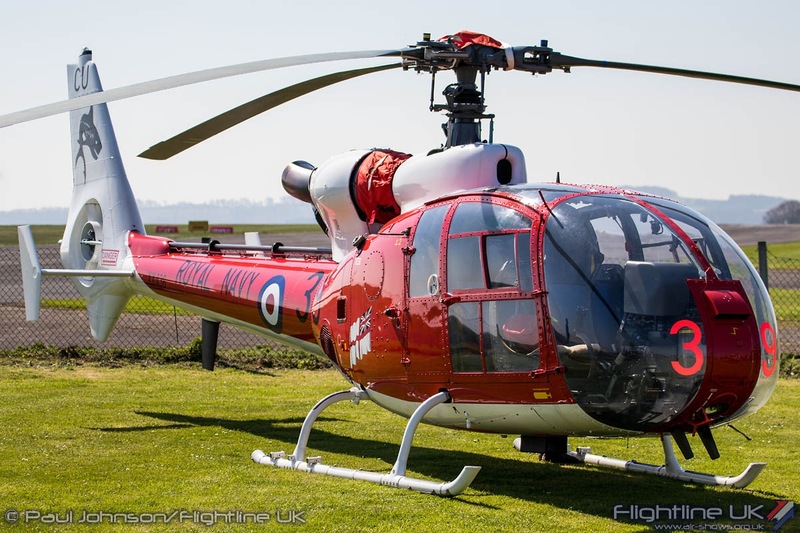 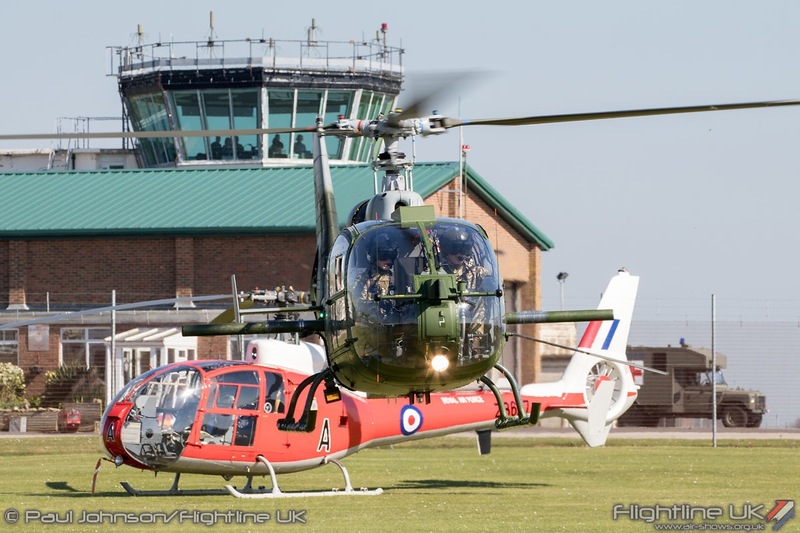 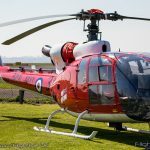 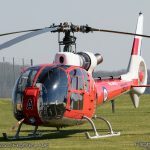 As well as the HT2 within the showground, the Gazelle Squadron also sent their Gazelle HT3 in Royal Air Force colours. 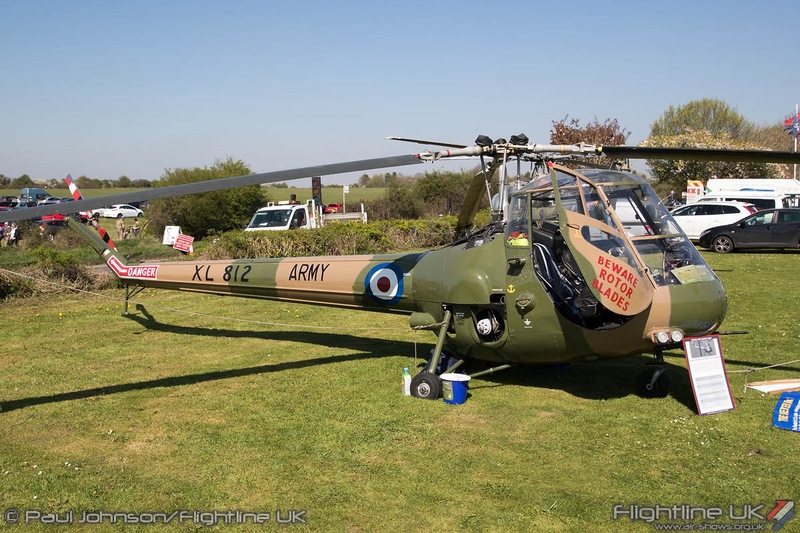 There were three different Westland Gazelle AH1s on show from the Army Air Corps, one fitted with stores pylons. 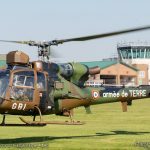 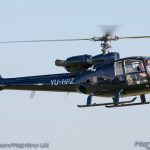 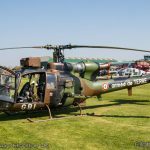 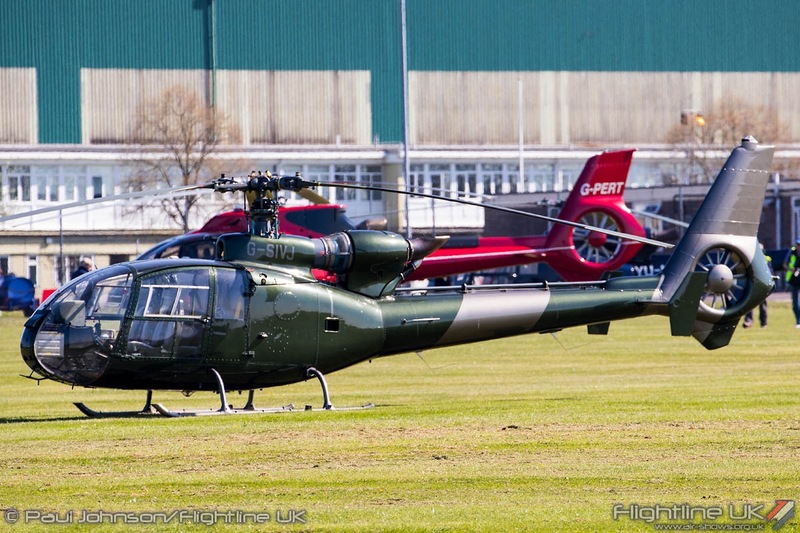 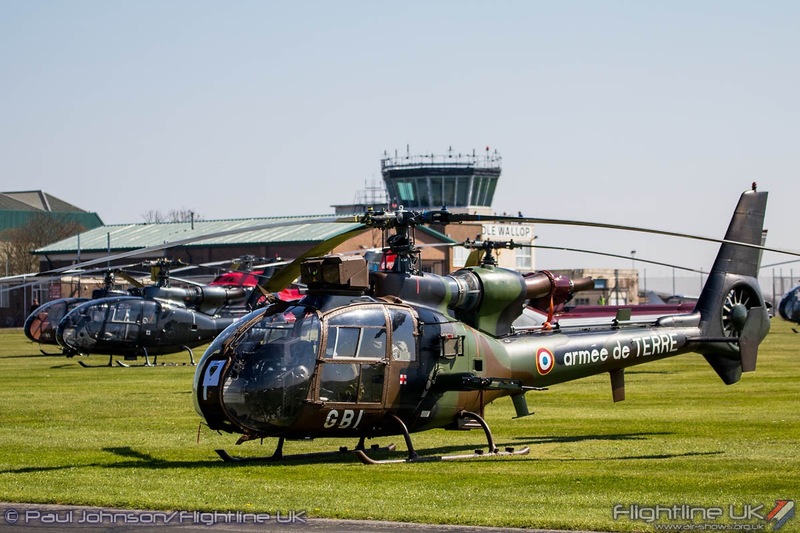 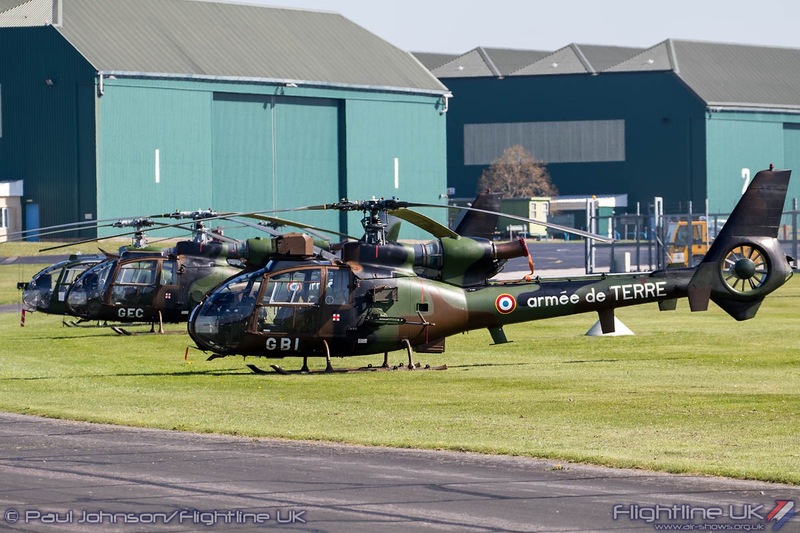 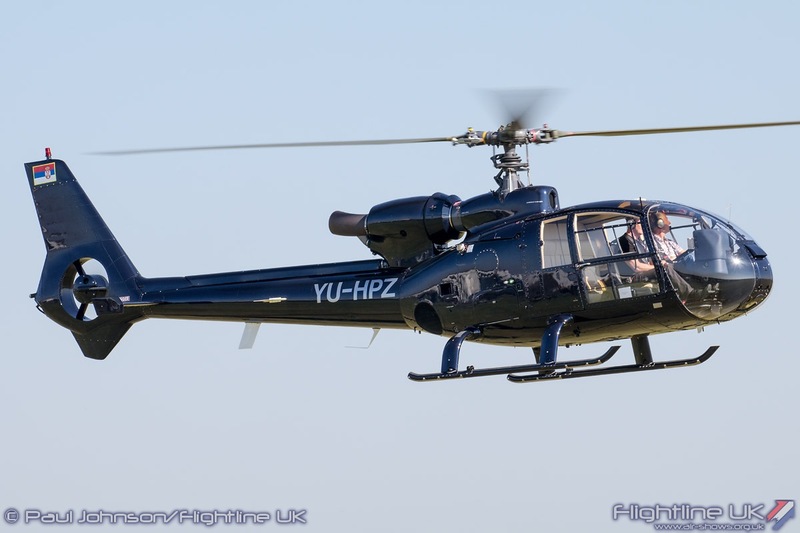 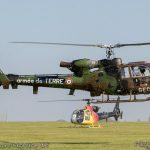 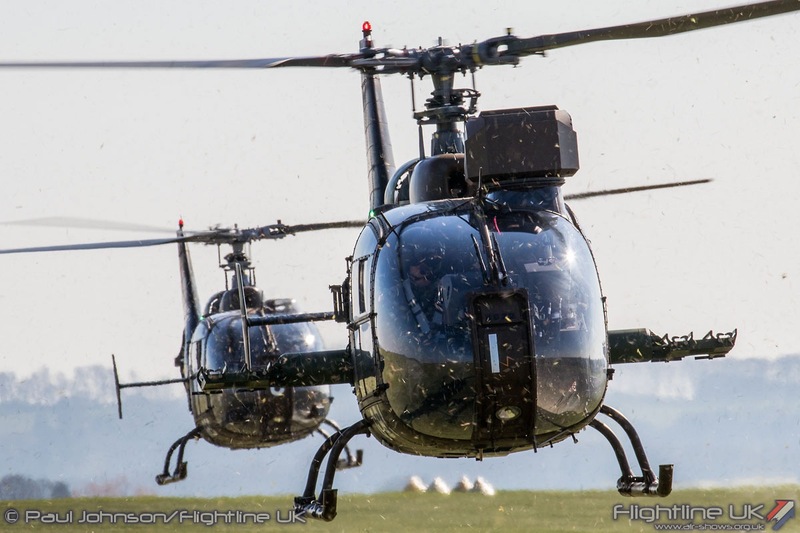 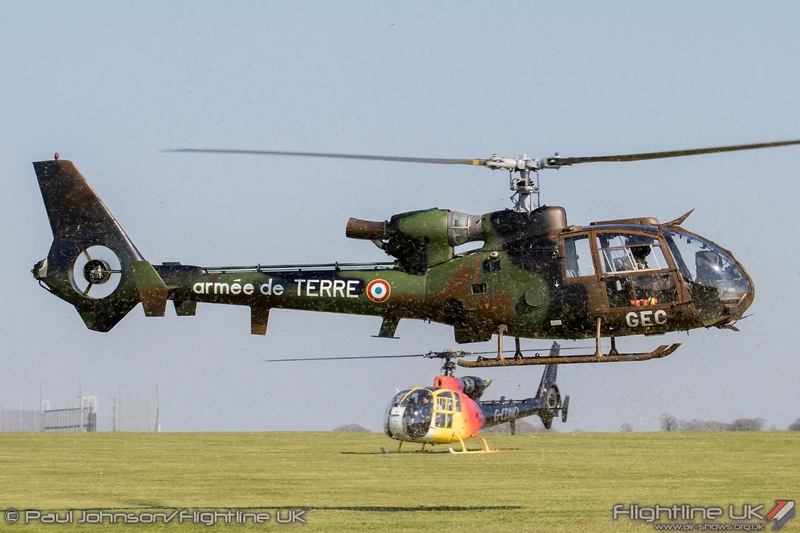 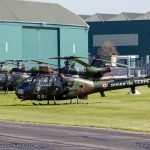 The stars of the event though were a pair of Aérospatiale SA342M/L1 Gazelles from the French Army. 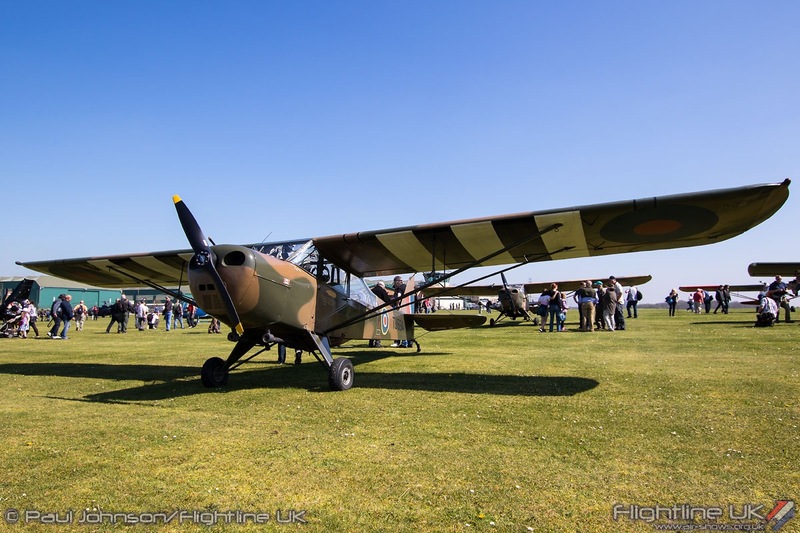 The aircraft came from Etain-Rouvres and were accompanied by some very enthusiastic crew who spent plenty of time showing visitors around their aircraft. 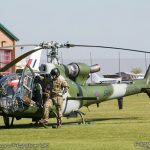 During their repositioning flight back to within the main army camp, they put on an impressive and close hover taxy along the crowdline! 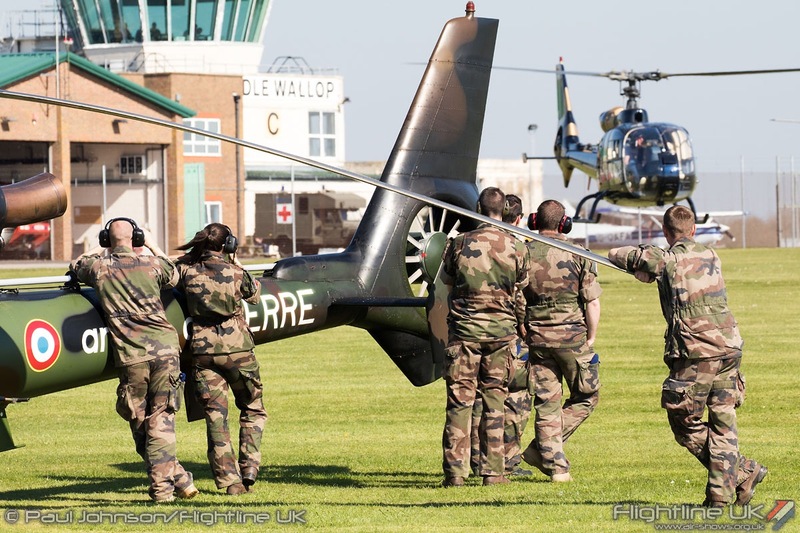 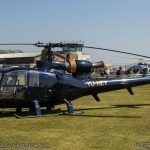 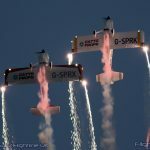 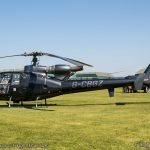 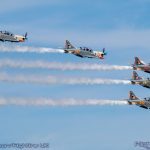 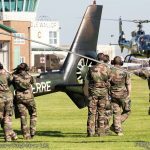 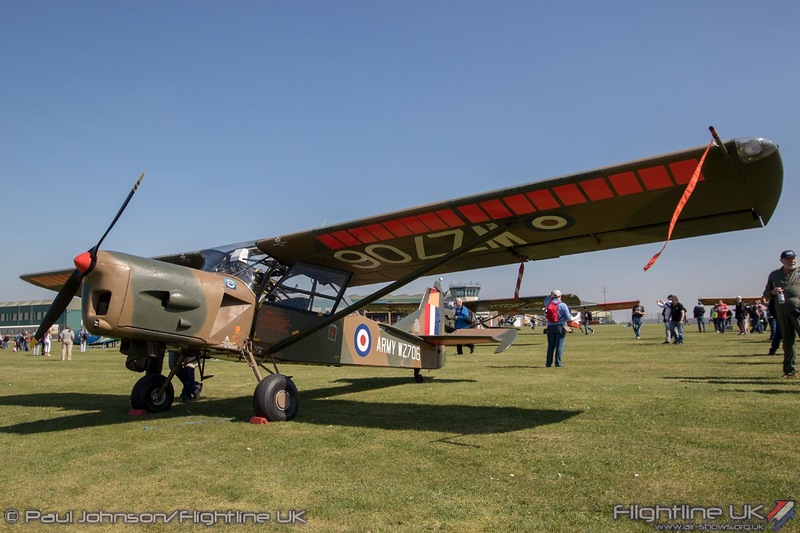 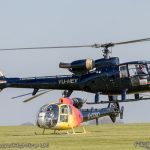 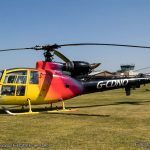 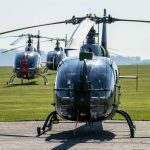 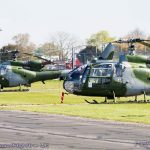 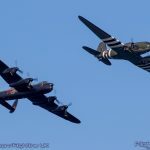 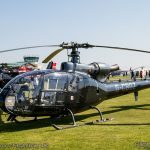 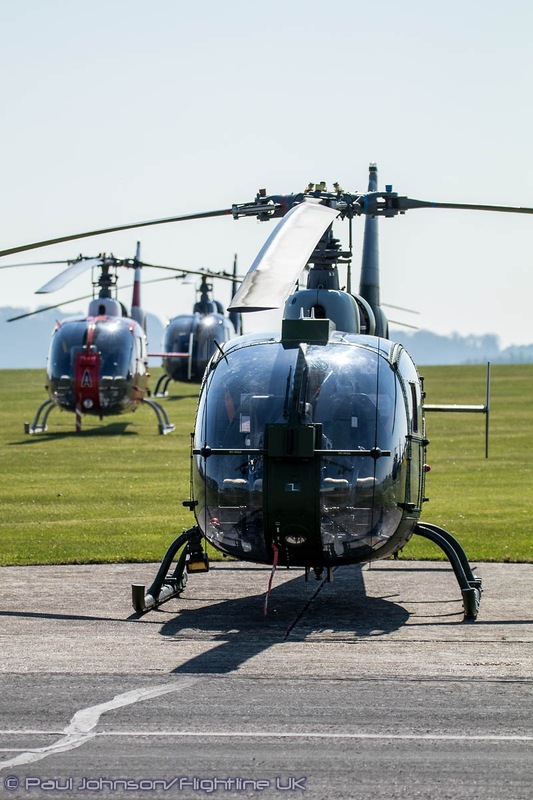 The perfect weather, relaxed atmosphere and beautiful surroundings of Middle Wallop helped make for a memorable, pleasing and very different event. 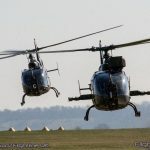 Congratulations must go to all those who put the event together and executed it in fine style.